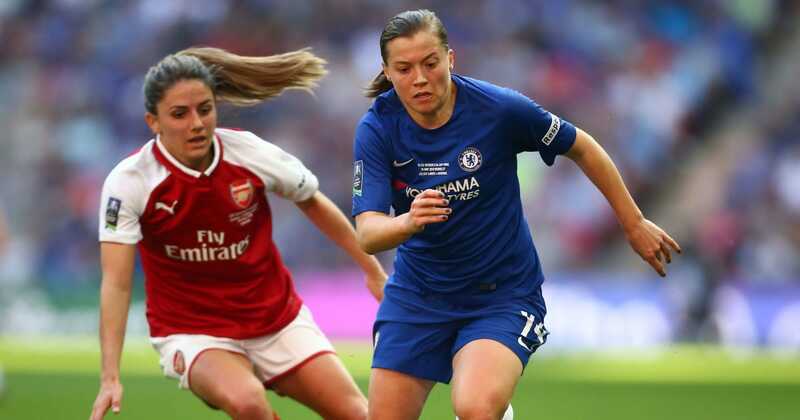 ?The FA Women’s Super League returns this weekend as early leaders Arsenal make the short trip to face reigning champions Chelsea at Kingsmeadow on Sunday afternoon, with the game to be broadcast live on BT Sport 1 from 1.45pm. And ? @90min_football is inviting you to send in your questions to be answered by the BT Sport presenters on pundits after the game. ?? The @FAWSL is back this Sunday!
? We’ll be putting YOUR questions to the @btsport WSL presenters and pundits after it’s coverage of league leaders, Arsenal Women as they travel to face Chelsea Women.
? Reply below with your questions for the team ? Whether it be about the England Lionesses looking ahead to next year’s World Cup after facing Brazil and Australia this week or domestic league action, simply submit your question as a reply to the above tweet and you could have it answered by the experts after the final whistle. Table topping Arsenal are the only remaining WSL team with a 100% winning record still intact after victories in each of their games so far this season. Those impressive win have come in significant style too, with the Gunners netting as many as 16 times in just three outings against Liverpool (5-0), Yeovil (7-0) and West Ham (4-3). They are the league’s top scorers by some distance, although they will now face a different kind of challenge trying to breach a Chelsea defence that is still yet to concede a league goal. After three consecutive 0-0 draws to start the new WSL season, Chelsea finally hit their stride in their last fixture when they beat Brighton by two goals to nil at home. What’s more, in reigning PFA Player of the Year Fran Kirby, Chelsea have one of the nominees for the inaugural Women’s Ballon d’Or in their ranks after the England star featured on the 15-player shortlist released by France Football this week. A win for Arsenal in this game would be a huge early statement as the Gunners look for their first WSL crown since 2012. Yet, equally, a win for Chelsea would draw them level on points with their rivals and put them firmly back in contention after a lacklustre start.